1. GIF's Low Resolution / Why is it not high quality? The GIF file format has a hard-coded limitation of 256 colors, so there is an unavoidable loss of quality to the photo when it is saved or converted as a GIF. We recommend saving an image in video format if you want to save it in a high quality. 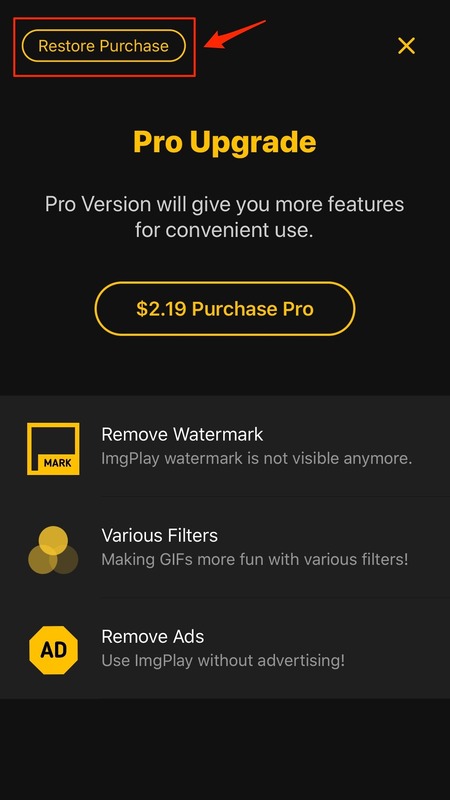 The ImgPlay app supports saving in GIF format in order to ensure the highest quality. The resulting output quality is affected by the quality of the original, so please use a higher-quality original for a likewise quality in ImgPlay's output. If the photos saved in the device are uploaded to iCloud, loading may take longer. The download is processed through the network, so is affected by network speed. Try again while using Wifi network. 3. The saved GIFs are not animated. Only devices running iOS version 11 or later can display animated GIFs in the photos app. If you are not using use the iOS 11, upgrade it. If you can't upgrade to iOS11 for some reason, it is recommended to install the 'ImgPlay' app. 'ImgPlay' is another app we develop for a view to animated gifs saved in the photos app; it's a free app, and very easy to use. 4. Why is there no sound? The ImgPlay app focuses on creating GIF files, a format which does not support audio. To keep original sound, you must save in a video format without editing the speed or direction at Edit view. 5. Frame limit / Why can't I make a longer GIF? The Maximum number of frames is dependent upon the device used. Mobile devices typically have smaller system memory totals than PCs, so a frame amount greater than 150 would risk crashing most mobile devices. Therefore there is a limit. Facebook only allows sharing of the GIF's URL. If you want to upload a GIF to Facebook, you must create a web-link of the GIF using another service such as Tumblr, GIPHY, Google Drive, personal server, etc. The ImgPlay app doesn’t upload user's GIFs to any server, so it can't link a GIF. If you want to upload your contents made by ImgPlay directly, please save it to video format and upload to Facebook. Where did you obtain the gif from? If you downloaded the gif files from a web page, they may not be animated gifs. Some apps do not support the downloading of animated gifs on iOS. 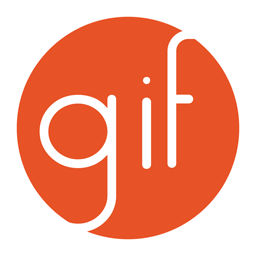 When the user downloads via them, the animated gif may be automatically converted to a still picture, so what may appear to be an animated gif may not actually be one. For this reason, the ImgPlay app can show only single-frame gifs. We recommend using the Safari app when downloading a gif from the web. Safari is the default web browser app for iOS, and it can download animated gifs. Tryout Safari for downloading an animated gif. If you want to delete your gifs made using the ImgPlay app, you can delete them via the default Photos app. The ImgPlay app can save a user's gif files only to the default Photos app. It does not save them somewhere else, or within the ImgPlay app itself. Find your gifs in the Photos app and delete them. 9. I paid for Pro, but why can't I use it? Have you tried clicking the "Restore Purchases" button in the app? It just may connection error between your device and Appstore. 1. Log out from App Store. 2. Reboot your iPhone or iPad. 3. Log in again to the Appstore. If you can't restore it, check your receipt at the Appstore again. Payment processing is managed by Apple in its entirety. If you have a problem with payment, please contact Apple for help through this URL. The ImgPlay app does not use a subscription model. It is a one-time purchase, and you can use it forever. Don't worry about a subscription. We are trying to provide best possible translation. If you encounter any problem with understanding due to poor translation, please let us know. The identified issue will be edited when updated. If possible, please send us an email regarding any translation errors to imgplay.ios@imgbase.me. We highly appreciate your assistance in this matter. 13. I can’t find the answer to my question! Please contact us at imgplay.ios@imgbase.me if you don't find the answer to your question here.